This week I’m excited to introduce you to Kristy Riese of Champagne Decor. 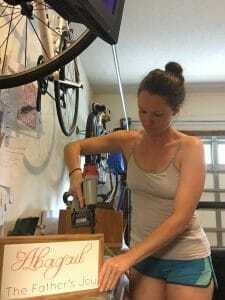 She creates gorgeous handcrafted wood signs that are perfect for any room in your home! 1) Tell us a little bit about your business and how it got started. I am the owner and artisan behind Champagne Decor. I taught high school for 8 years before becoming a stay-at-home mom. I consider being with my babies the biggest blessing. I have always dreamed to starting up my own business, and found myself needed an outlet. I have always loved art, and found myself staying up late at night playing with my paints again. It had been years since I held a paint brush. I have always dreamed big! I think it’s important my girls see that with hard work and dedication dreams can come true. It is such an amazing honor to think people love my work enough to display it in their homes. I hope my pieces brighten up and bring inspiration to homes around the world. 2) What is your favorite part of owning a handmade business? I really enjoy hand crafting each sign. I love the process. starting with a rough piece of wood, and transforming it into something beautiful. I also love being able to contribute to my family financially. When I made the decision to stay home with my girls it was a big leap of faith for us. 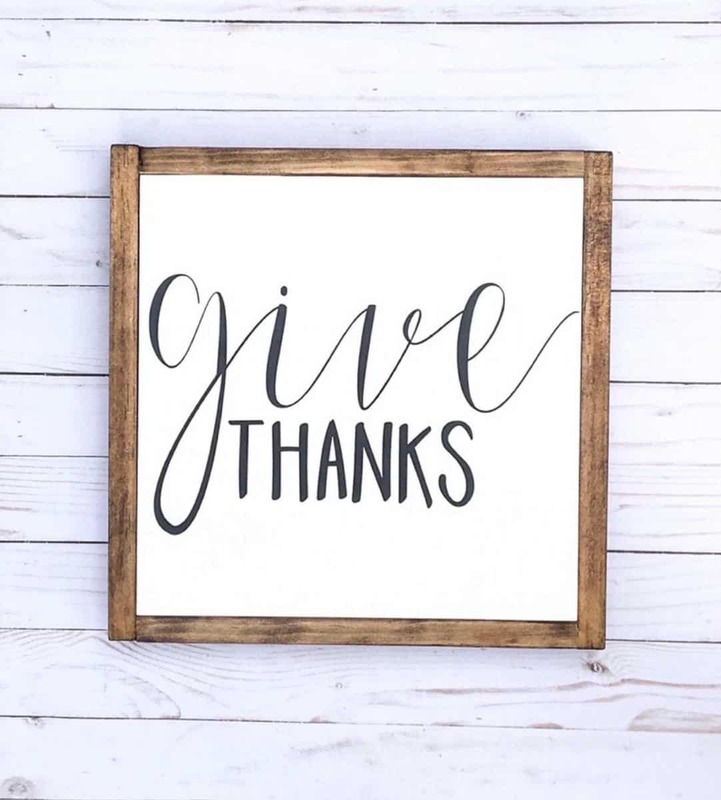 I am beyond thankful for each and every purchase. Every purchase is a blessing to my little family. 3) What is something you’ve learned during your handmade journey that you’d like to share to help or inspire others? I have learned so many things. This entire process has been a huge learning curve for me. I have two small children therefore time is of the essence for me. I have learned at times it is okay to slow down and take baby steps. We want to be able to do it all. We want that immediate success. I have found everyone’s handmade journey is different. For me, sometimes I have to take a minute to regroup; because after all I am first a wife and mommy. I have also learned success does not come overnight to most. 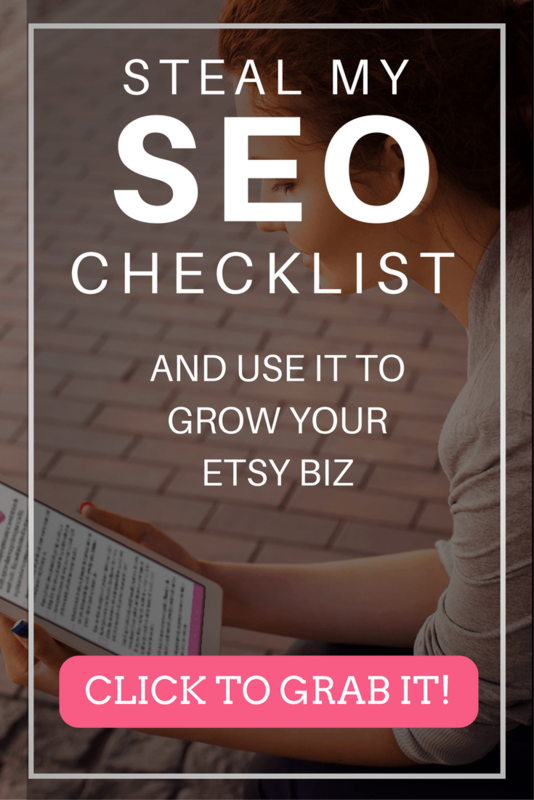 Great pictures and good SEO’s are absolutely key to running a successful Etsy shop! It takes a lot of time and hard work to get all the working parts of your shop to come together. When I’m feeling defeated I always remember my why! I want my girls to see with hard work and determination you can turn your dreams into a reality. 4) How has the Handmade Journey Academy helped grow your business? Without Handmade Journey Academy I would of most likely shut down my shop months ago. I am the person that opened in February, and didn’t make a sale for months after. I owe any success I have had thus far to the Handmade Journey Academy. I must admit I was that person that never thought I would ever pay to be apart of a group like Handmade Journey, but y’all it really is worth it. Not only is Jami amazing, but the community is outstanding. Not only are the resources Jami provides live saving for your business; the people within the community provide you the support we all need so much! 5) What are your future goals for your business? I hope to continue to build my little Etsy shop with the help of Handmade Journey Academy. I plan to continue to utilize the resources of Handmade Journey Academy to become more knowledgeable, and successful. Where to find and follow Champagne Decor. Want some help with your Etsy shop? Click below to grab your free Etsy Makeover checklist! What a great interview. I used to have an Etsy Shop and it is hard work making an online shop work, but it sounds like Handmade Journey Academy is really resourceful for people! How long has it been around? I love Kristy’s work! It’s so festive!! Thanks for sharing it! Happy to have discovered your blog- following you on Pinterest!